Echo Us’ brand of progressive rock leans toward new age. I've covered several albums from this act in the past. They have a way of creating modern prog that has nods to the classic progressive rock. Perhaps this doesn't really fit under progressive rock. It has a lot in common with bands ranging from The Cure to Depeche Mode. After Echolyn steamrolled fans with a shockingly long and surprisingly well-written song, they are back at it again. This time, however, they opt for a more song-oriented approach. 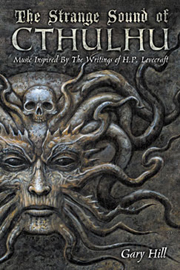 With this album Echolyn have truly created a unique work that should stand the test of time. The true strength of this band is not in musical virtuosity, although there is plenty of that on display. To this writer, Echolyn's greatest strength has always been their uncanny ability to craft music that, although quite progressive in nature, still manages to maintain a mainstream, almost pop sensibility. As a bass player, I have to love any band whose sound is built around two bassists. I can imagine people quibbling with my classifying this as progressive rock. Clearly the “rock” part isn’t here. Hailing from France, this prog rock outfit does music a bit in the styles of UK, Genesis and others with a definite fusion tilt to it. The guitar on this album really steals the show in many places. This brand new album from Edensong is pretty amazing. I am in no way suggesting that Dave Edmunds is a prog rock musician. I have heard of Egg over the years, but until this reissued album, I never actually heard them. I have to say that having heard an earlier disc by Eklundh I came at this with more than a little trepidation. That other album literally gave me a headache. The mix of sounds here might not land under progressive rock to your senses. However, it's got a healthy helping of space rock in the mix along with psychedelia. This is a compilation disc from The Electric Family. It has a nice selection of pieces. This 1971 album was apparently entitled No Answer in the USA, although this was due to a misunderstanding between the band and the distributor. First, a confession: I was a huge ELO fan when I was at school. I thought they were the gods of pop. After two reasonably successful albums for EMI Harvest, Jeff Lynne’s merry men moved over to Don Arden’s Jet records for their next release. This album is an intriguing one. It might be obvious, but this has always been one of my favorite albums from Electric Light Orchestra. When Electric Light Orchestra came back with Zoom, I think a lot of fans had moved on to other things. This is definitely one of my favorite ELO albums. I reviewed the standard version of this album previously. Sounds ranging from psychedelic rock to King Crimson, The Doors and even metal are mixed together on this set. If you like space rock in general and Hawkwind in particular, you are sure to love this disc. Here’s one that might not exactly fit under progressive rock, but it’s close enough to a lot of the electronic prog out there to fit in my book. This is a new single from an interesting artist. I've included this under progressive rock more because of its artsy nature than a real progressive rock connection. 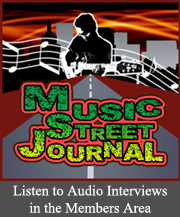 I've reviewed this and two singles from the album for this issue of Music Street Journal. I have put all of them under progressive rock, but I can see how some people might take issue with that. This is one of three reviews of this artist in this issue of Music Street Journal. The other two are another single and the album from which both of these singles came. This is a fusion album. It has a nice mix of sounds within that heading. I love the mellow jazz on display here. You'll note that I've included this in the progressive rock section of Music Street Journal. So, you say you like melodic fusion? Well, then you should give this a try. It's a great album. The music varies well enough from song to song, but also feels like one cohesive set at the same time. I got this CD not having heard anything about the band. I put it in and was immediately captivated. A compilation of tracks from two ELP performances are presented here in a double disc set. These performances are from the King Biscuit Flower Hour radio show. This two disc set is a live album featuring performances from two different ELP eras, "then" and "now". The "then" material is from Cal Jam `74, and the "now" is from shows on the most recent tour. I would not be the first to say that their music has not held up over the years, because it obviously hasn't. Before we count them out completely, it is important to point out that Emerson demonstrated many innovations in music long before the digital age. This first album from Emerson, Lake and Palmer is really a classic. The third album from Emerson, Lake and Palmer this has some great pieces of music. This is another classic ELP album that we’ve not previously reviewed. This live album features a strong performance from Emerson, Lake and Palmer. What a year it’s been, and not in a good way. Since the last issue of Music Street Journal went up at the end of January, we lost three great (and very different musicians). This live set should definitely please ELP fans. It's four CD set that is made up of music recorded on three different nights. This album from Keith Emerson was recorded in the Bahamas. Perhaps in some circles the late great Keith Emerson is known primarily for his synthesizer work. The man was an incredible piano player, though. This live recording features Keith Emerson and Greg Lake doing ELP songs (and a little more). Billed as Keith Emerson and the Nice, this recent release is accurate with that name from a technical standpoint, but in some ways it is a little deceptive. While all of the music on the disc does feature Keith Emerson, only the first CD is actually with The Nice, and even then, it's only two of the members of the band (plus the keyboard wizard). Most people probably know of Keith Emerson for his work with The Nice and Emerson, Lake and Palmer. I reviewed this from a format I haven’t dealt with in a long time – cassette tape. Although, perhaps more progressive than metal, this album still seems to fit fairly well into this category. The musicianship and song writing on this disc are quite accomplished. You know when you're in Europe when even the little record shop at the airport has a Prog section. Duly impressed, I took a chance on this band based on the interesting album title alone. With Break Enchant have created a concept album that is both personal and universal. Such a dichotomy is appropriate for this band, as they seem to be experts at dual natured concepts. I've put this under progressive rock, but it's not a tight fit. There are movements of this that definitely fit. This new live set from the Enid is quite good. It includes two different shows on two separate DVDs. If I had to choose one word to describe this CD it would be "mind-boggling." OK, so technically that's two words - still it fits. Based on the band name and album cover, I almost expected a heavy metal disc. This new compilation set is very cool. The main person here is Udo Erdenreich, and these songs all come from various projects he has worked on with various artists. One could expect Esquire to sound like the music of Yes (and particularly Chris Squire). One half of this band, Nikki Squire, used to be married to Chris Squire, and they do share some musical reference points. While the members of this act might not be well-known to American audiences, each of the five musicians in this band have reputations in Italy. I’d never heard this act before. Their brand of progressive rock is quite cool. I wish I could say that I was familiar with this act before I heard this and their live set. Although I've reviewed these guys in the past, I'm not well versed in the band history. Apparently the concept and parts of the music here date back to the origins of the act. The sound here definitely lands in the modern progressive style. This is the reissue of an album from 1969. Perhaps it’s not progressive rock. It’s psychedelic and really very much proto prog, though. I reviewed another reissue by this band in the last issue. This one is more mainstream than that album.